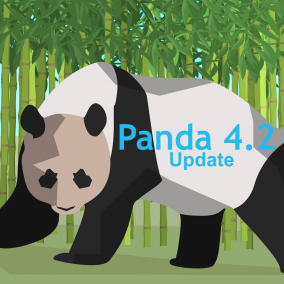 After almost 10 months, Panda 4.2 has finally arrived. For those who like to understand the differences from Panda update to Panda update, this one is classified as a refresh and not an full update. This means it is reapplying the signals from the previous Panda for this update as well. In other words, Google isn’t just looking for new content, it’s looking for relevant and quality content. The new update won’t affect quite as large of a grouping as it has in the past. Google confirmed the percent of queries that are impacted by Panda affecting about 2-3% of search queries, which is lower than the previous refresh of 3-5% in September 2014 and the last full update in May 2014 which affected, as we mentioned above, 7.5% of search queries. Haven’t made the necessary changes since last update? Tsk tsk. Unfortunately, once Google begins rolling out one of these updates, it is too late to apply changes that will have any effect during the rolling out phase period. As we have seen previously, these updates have a cut-off date and any changes made after this date will be applied to the next refresh or update. While this update seems to be a pretty slow roll out — much slower than we usually see, apparently many high quality small and medium sites are starting to rank higher. But the slower update will also make it harder to assess the usual “winners and losers” like we can usually figure out. One thing that most SEOs are agreeing on is that there hasn’t been much evidence of this refresh going live recently. Based on what Google has said about it slowly impacting sites leads me to think that we are unlikely to see the dramatic drops in traffic that we have typically seen during past iterations of Panda and that traffic gains or losses are going to be far more gradual and subtle. That being said, long roll outs aren’t new to Google, as we have seen in the past. No one should really be surprised that they aren’t hitting the entire refresh out at once, even though there are some pretty vocal about the long length of the rollout. Bottom line, the long awaited Panda refresh is here, even though you might not be able to actually tell it arrived. Hopefully as the slow roll out continues, we might be able to see some patterns. With the goal of Panda to to keep poor content sites from making it onto page 1, it seems that Google is doing a great job of helping level the playing field. As always though, there will be people upset that haven’t been keeping up with how SEO has been changing. Give us a call. Of course you can’t keep up with everything marketing. You’re busy running your own business. That’s what we’re here for, and we’d love to help you out… either with a recovery, or making sure you’re on track with your SEO and marketing efforts for your business. We look forward to hearing from you!